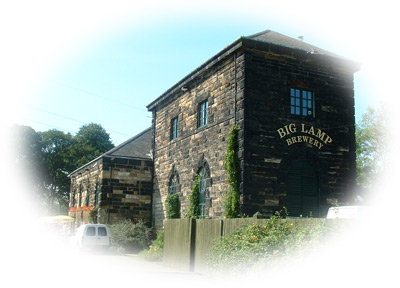 The Big Lamp Brewery has been in existence since 1982 and is the longest established brewery in Tyne and Wear and Northumberland. It started when Tom Hanson, a keen amateur brewer, returned from a gap year. His brother Terry and some friends paid for the original equipment. It was designed with reference to Victorian books in Newcastle City Library. Summerhill House, an 18th century building hidden in a yard near the Big Lamp area of Newcastle, was converted to an old fashioned “tower” brewery. Over the years it has become a thriving and successful business. 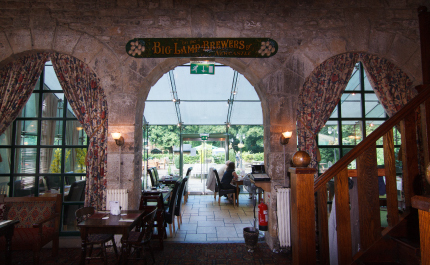 Its first brew was the ever popular Big Lamp Bitter in 1982 which was brewed for The Red House pub on the Quayside. The original shareholders were Norman Bell, John Tomlinson, Terry Hanson, Tom Hanson and Paul Needham . Initially they brewed about 10 barrels per week, usually over the weekend. In 1986 the Big Lamp Off Licence was opened next to the Brewery. The beers were also distributed through tied houses such as the Oddfellows Arms in Haswell and the Wheatsheaf Inn in Felling. Other outlets were various Fitzgerald Pubs and Free houses. Legendary Yorkshire Heroes and NORA also assisted with distribution and helped to promote the real ale. In 1986 Terry Hanson took on the job as a full time brewer to keep up with the demand. Elizabeth Hanson was employed to run the Off Licence on a full time basis. Beers brewed included; Big Lamp Bitter, Old Genie and Big Lamp Blackout. The brewery realised its potential when the splendid and much applauded Prince Bishop Ale was commissioned for the Durham Beer Festival. In 1988, after much hard work and development, Terry returned to his original full time job of teaching. The existing shareholders managed and worked in the business for a time, then In 1989 Lee Golding and George Storey took over responsibility for the brewery and pubs. They now trade independently as Big Lamp Brewers. George and Lee have dedicated all of their time to improving, expanding and developing the beers and pubs. 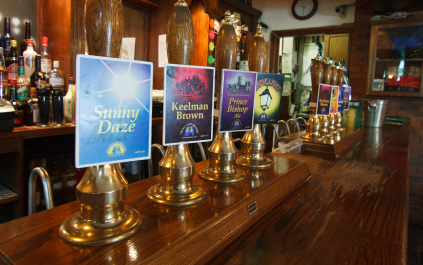 A wide range of traditionally brewed fine ales is now supplied to public houses throughout the United Kingdom as well as to The Keelman which is situated next door and to the Wheatsheaf in Felling. The Brewery moved to its current location in 1996. The building it occupies was once a water pumping station supplying the town of Newcastle with water from the river Tyne. It had been closed down and out of service for many years and had subsequently become derelict. A brave decision was made to relocate the brewery to the run down site and at the same time to save the listed building. The building was dismantled stone by stone, each was numbered to ensure that they were replaced correctly. 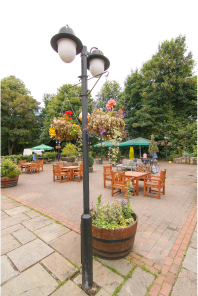 The old water pumping station has been fully rebuilt and is now the home to the Big Lamp Brewery and the Keelman Pub. The brewery has expanded significantly over the years and now brews many regular and seasonal ales. If you want you can read more about the current premises and the history of the Keelman Pub.